This recipe is kind of a repeat of one of my favorite chocolate chip cookies recipes. The only difference is I substitued some whole wheat flour for a lot of the all purpose flour. Makes them a bit more healthy I suppose. It's never a good idea to use entirely whole wheat flour in a recipe. The general rule of thumb in to replace only half of the all purpose flour with whole wheat. They say you are suppose to add more liquid when you do that & more baking powder or soda but I didn't do that and it worked fine. I always add more chocolate chips than a recipe calls for but that's your call. I never add nuts either but I'm sure lots of folks would want them. 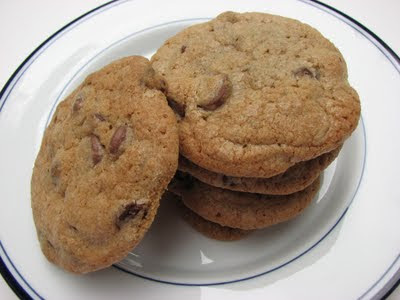 I use a mix of semi sweet chocolate chips and milk chocolate chips - thats my favorite! The shortening in this recipe might freak some people out and I suppose you can use all butter but I was pretty impressed with the results of these when I use shortening. It makes your cookie not spread so thin. Makes for a thicker cookie - which I like. In a large mixing bowl beat the shortening and butter with an electric mixer on medium to high speed for 30 seconds. Add the brown sugar, granulated sugar, and baking soda. Beat mixture until combined, scraping sides of bowl occasionally. Beat in the eggs and vanilla until combined. Add both the all purpose flour & whole wheat flour & mix till combined. Stir in chocolate chips by hand. Drop dough by rounded teaspoons 2 inches apart on an ungreased cookie sheet. Bake in a 350 degree F oven 8 to 10 minutes or until edges are lightly browned. Transfer cookies to a wire rack and let cool. Makes about 60 cookies. 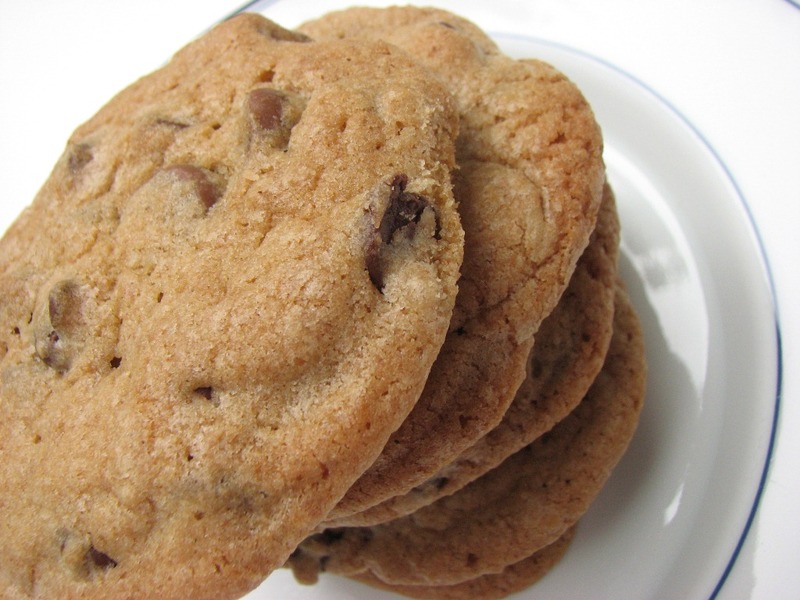 Way to go for making chocolate chip cookies healthy. They look delish.